Make Up For Ever was founded in Paris in 1984 and has been a part of LVMH – the world-leading luxury group – since 1999. Their products are distributed in more than 60 countries and are available to purchase at more than 2,200 points of sale worldwide. This company’s mission is to, “create and educate to elevate.” The idea of the brand is to give everyone access to all products and benefits that are at the fingertips of professional makeup artists. The Creator and Artistic Director is Dany Sanz. She lives by the motto that life is a stage, and strives to help women embody what they truly are. She grew up in Paris and was drawn to the world of the arts at a very young age. Her professional career began as a painter and sculptor after completing her studies at Ecole des Beaux-arts. Her theatre work became her driving force behind founding Make Up For Ever. Make Up For Ever pride itself as a socially responsible company that has partnered with the association known as “Nos Quartiers Ont des Talents” since 2010, organizing annual “job style” workshops for middle school and high school students from underprivileged neighborhoods. This brand also incorporates diversity and equal opportunities into its recruitment process and proudly declares itself as an environmentally friendly, “green” company. If you are wondering where you can get your hands on the Make Up For Ever false lashes, your best option would be to purchase them directly on the Sephora website. Their website is easy to read, lists the different lashes clearly and gives a brief overview of each product. They’re also available to purchase from eBay and Amazon. 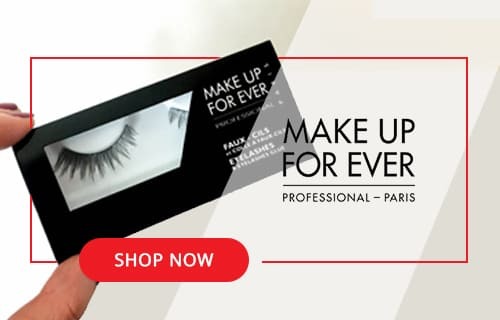 Additionally, it is possible to purchase Make Up For Ever eyelashes directly from the company’s official website at www.makeupforever.com. In terms of retail stores, they are sold exclusively at Sephora, but there are also Make Up For Ever boutiques and retailers around the world. You can look on their website if you want to know if there is a store in your area. The Make Up For Ever Single lashes are part of the natural impact range, which will give you a daily dose of drama. They are handmade and have been created using synthetic fibers to ensure optimal comfort, along with a super-slim, flexible base. There are two styles in this range; Lash Show N-601 and Lash Show N-602. These reusable falsies are designed to look incredibly long, lush, impactful, and 100% real. They come with glue and a precision applicator that makes the application process easy and mistake-proof. These incredibly comfortable to wear and ultra-realistic looking lashes are made from high-tech synthetic fibers. 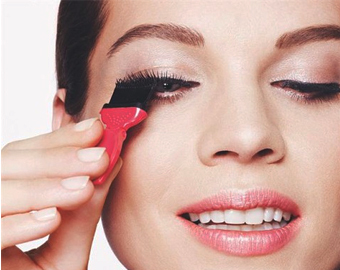 They’re perfect for adding length, shape, and volume to sparsely lashed eyes. These pro-inspired falsies give your eyes a dramatic transformation by adding length and volume to your everyday look. They have been handmade using the highest quality synthetic fibers ensuring weightless comfort, with a super-slim and flexible band. The most popular lash style from this range is the Lash Show N-104. The Classic Creative collection of false eyelashes has been designed for special occasions and to create a dramatic impact. These falsies are bold, extravagant and daring, allowing you to express your individual style and creativity. Designed shorter at the inner corners of the eyes becoming longer towards the outer edges, the Lash Show C-701 lashes are made to give shape and add length to your natural lashes. They’re quintessential for a more natural, yet dramatic look. The Lash Show C-703 lashes are ideal for a dramatic cat-eye effect that adds definition and volume to natural lashes. If you’re looking to add full-volume, dramatic lashes to your everyday look, then the Lash Show C-704 lashes may just do the trick. Similar to the Lash Show C-701 lashes but with a lot more volume, these glamorous, voluptuous falsies are sure to make your eyes stand out. With incredible length, these stylish lashes are perfect for a flattering evening look, or for public events and on-stage performances. Featuring winged and tapered ends, the Lash Show C-707 falsies have been designed to lift and open the eyes. These are possibly the thickest lashes available in the Classic Creative range. They also carry fabulous length and are ideal for a special occasion or night out on the town. What the Lash Show C-709 lashes lack in length, they make up for in sophistication. A similar style to the Lash Show C-707 lashes, these are a lot shorter and not as thick. They are better suited for a casual day out or everyday wear. These spaced-out lashes are for the bold and daring. 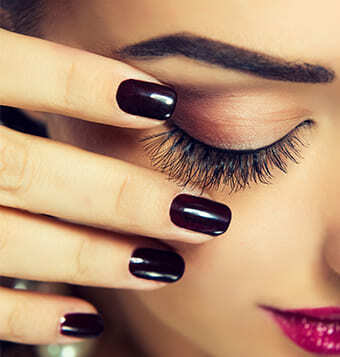 They will fill the gaps in your natural lashes and add some much-needed volume. Also from the Creative Impact collection, the Exuberant false lashes are made for those who are extra daring and wanting to take their look to the next level. They are designed to add volume and impact to your natural appearance, along with a little something extra. These lashes are only for the daring and brave. With extra length in the middle of the lashes and the shortest strands towards the outer edges, these lashes are perfect for a fancy dress event, glamorous occasion or costume party. These interesting lashes are short at the inner corners of the eyes, expanding in length towards the outer edges of the eyes. The hairs vary in volume and are designed to open up and lift the eyes. They are not always readily available in just any store. You would have to make a specific trip to a registered retailed or make a purchase online to get your hands on these lashes. They don’t seem to offer a rewards program for repeat customers – hey, where’s the loyalty? They do not accept international orders. There’s no clear returns policy in place. How Do We Rate Make Up For Ever? In terms of company reputability, we are very impressed with the Make Up For Ever brand. The company’s initial target market was professional make-up artists working in the entertainment industry, which means that their products are of the highest quality and designed to perfection. MUFE has been in the business for a long time and knows how to meet the needs of its market. The only negative here is that there aren’t many customer reviews for their fake eyelash related products. These are high-end lashes, which makes them incredibly well priced for their quality. They average around $18 per pair of falsies whereas your typical high-end lashes will cost you about $30. 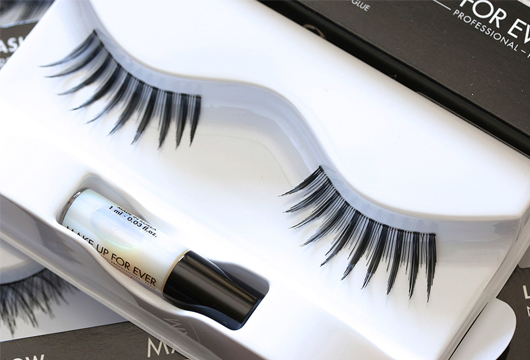 The Make Up For Ever lashes are made of the highest quality. They are well-loved among movie stars, models, and make up artists, and are handmade using synthetic fibers to ensure optimal comfort and appearance. The brand’s variety isn’t as extensive as some other brands, but there is still plenty of options to choose from. Durability is not something that Make Up For Ever really discusses, but they should last for at least 10 uses. You can’t really go wrong with the Make Up For Ever lashes. There are plenty of collections to choose from, and they are well-priced for a high-end brand. Overall, we give them a rating of 4 stars, with the durability and variety lacking slightly when compared to other big brands. enjoyed the MUFE individual lashes a lot more than I thought I would actually. Give a delicate but still built up look. Glad I decided to get them after reading this post. Nice lashes. Comfortable band. really like wearing C-709.